Quick, before you start thinking too much, give your spontaneous response to the following question. Which of the two combinations of geometric shapes do you find more appealing? Now that I have your attention (though perhaps for only one more paragraph), let me do a little “psychic reading” of your life. This preference means that you hold power at a higher value than love. Not that you don’t love or know how to love, but that you value influence over belonging, winning over sharing, competition over cooperation, control over freedom, management over creativity, hierarchy over holarchy, capitalism over communism, and you tend to live your life down from the top rather than out from the center. If this is you – maybe not on every check-box but across a majority of the subvalues just listed – then your organizing principle in life is supremacy, the love of power. 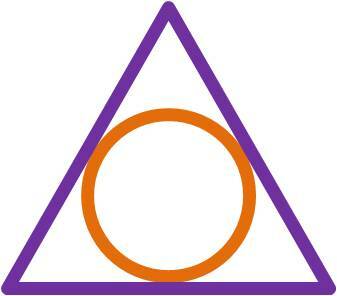 The archetypal symbol of power is the triangle or three-dimensional pyramid. This shape is well-based and centered along a vertical axis, rising up through distinct levels or “ranks” of value. Triangles and pyramids are cultural symbols of superior strength and lock-tight stability. They have a vibrational value that is highly energetic and resistant to entropy, which is the tendency of any system toward equilibrium. This preference means that you hold love at a higher value than power. Not that you don’t have power or know what to do with it, but that you value belonging over influence, sharing over winning, cooperation over competition, freedom over control, creativity over management, holarchy over hierarchy, communism over capitalism, and you tend to live your life out from the center rather than down from the top. If this is you – again, across most of the listed subvalues – then your organizing principle in life is communion, the power of love. 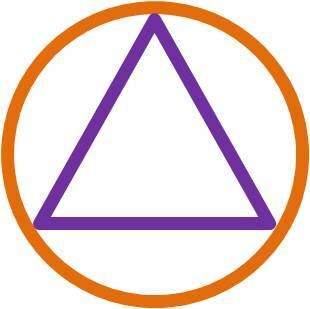 The archetypal symbol of love is the circle or three-dimensional sphere. This shape is balanced around a pivotal center-point, radiating outward from there along a continuum of concentric (nested) bands. Circles and spheres are cultural symbols of inclusion and dynamic wholeness. Arthur Koestler’s term “holarchy” refers to a holistic arrangement of smaller wholes, rather than of parts or pieces. Supremacy and Communion sound like they should be diametrical opposites, opponents in a battle for … supremacy (oops, did I give myself away?). In reality, however, they are complementary principles, which is why I have combined them in the different icons. They are, if you will, the Yang and Yin of the Tao, respectively. 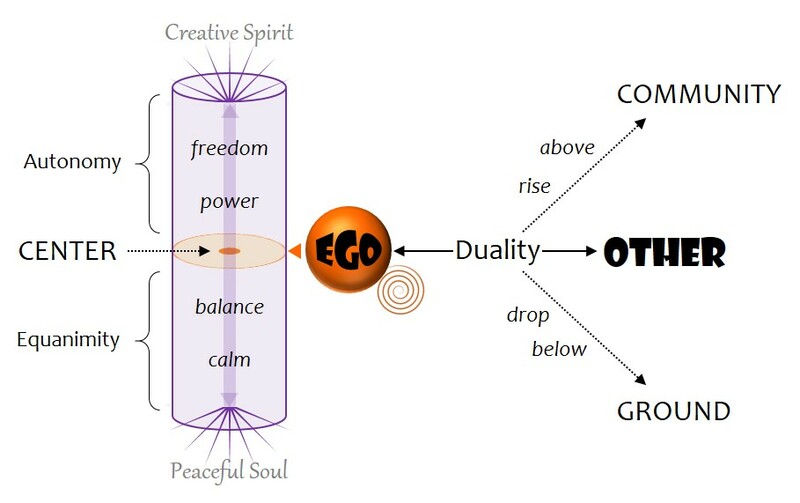 Neither one (according to Taoism) exists without the interplay of the other, although certain aspects of reality – such as individual personalities – will tend to demonstrate and prefer one to the other at various times. Going a bit further on that insight, we can expect that anyone who strives for only one principle to the exclusion of the other will (1) be out of alignment with the nature of reality, (2) grow increasingly neurotic, and (3) become a danger to the rest of us. By “alignment with reality” I mean in accord with the true nature of things: firmly grounded but flexibly connected, resilient yet adaptable, dedicated yet open to change. So as you look at yourself with these principles in mind, can you recall times when your preference for power or love made you overlook or dismiss the other? Individuals, families, communities, nation-states, and the emerging global network of regional economies frequently fall to the error of promoting one principle at the expense of the other. The world cultures are presently ascending into values of supremacy – pushing on each other, contending for resources (perceived as limited), gripping down on minorities, and closing their borders. Love without the complementary balance of power lacks initiative, leverage, and the courage to stand up for what is right. But power without the counterbalance of love often rides roughshod over the feelings, dignity, and genuine needs of others. You can probably see this playing out in the history of your family, tribe, and religion as well. Christianity, for instance, has cycled through a number of alterations between communion and supremacy, often pursued to damaging extremes. Certainly Jesus was an advocate of communion, with its values of kindness, compassion, goodwill and forgiveness. Some Gospel narratives have him confronting (power) his disciples on their competition for rank and authority, telling them that true greatness is in reaching out and serving others (Mark 9:33-37). It didn’t take long, however, for the movement he left behind to swing toward supremacy. Too soon, he was reconstructed in the emerging orthodoxy as Lord, Judge and Executioner, battle general of the Crusades and divine sponsor of Christian exceptionalism around the world. Before we make the true “essence of Christianity” into a slush-pond of sentimentality and glorified suffering, we need to remember that in its better days this religion did inspire the establishment of hospitals and schools, not to mention the modern rise of liberal democracy where at least on principle every citizen is given rights and the power to vote. But once again, without the check-and-balance of communion to keep these efforts directed toward the good of all, runaway supremacy in our businesses, schools, and courtrooms is steadily pulling apart the fabric of community. It’s easy to stand back and criticize the abuses around us. Rather than exercise power in the interest of putting our institutions back into alignment with the true way of things (the Tao), more and more people are throwing wrenches into gears, digging up dirt on the competition, polishing their rifles, or just giving up in disgust. The solution won’t be love OR power, but love AND power – benevolent strength and relentless kindness. How different would things be if we had the wisdom to guide us through the adversities we face? But don’t leave me yet, because nothing much will change unless we make this deeply personal. If you earlier identified yourself as preferring supremacy or communion, and then were honest enough to look at where in your life you’ve leaned too far into your preference (and what damage it has caused), then our challenge is to restore balance in our individual lives first. If the thought comes back to you later in the day, ask yourself whether it’s making a difference.